Registered Psychologist Dr. Lillian Esses | Winnipeg Psychologist > Blog > Bipolar Disorder > What is bipolar disorder? How many times have you heard someone say in casual conversation something like: “I’ll bet she’s bipolar!” Often the comment is used to describe people who have wide mood swings and erratic behavior. They can be be very up one moment and very down the next. While this may have become the casual layperson’s version of bipolar, from a clinical, more formal perspective, it does not begin to describe what people with bipolar struggle with and how complex this diagnosis really is. To begin, for all of us, our moods fluctuate, not just from one day to the next but within the course of a day. While it is true that people with bipolar disorder demonstrate wide mood fluctuations ranging from very high to very low, these shifts are typically very severe and they are by no means momentary. The highs and the lows can last for weeks and even months. Also, in this context, the term “mood” has many more meanings than just feeling up or down. For instance, irritability is often a hallmark of bipolar disorder. A state of agitation is invariably present which affects both mind and body and can be very uncomfortable and difficult to tolerate. Bipolar disorder is a serious condition, not easy to diagnose. Interestingly, 80% of people diagnosed with bipolar disorder are likely to have been diagnosed with depression first. It is not uncommon to discover when looking at their history that many different kinds of anti-depressant medications were tried without success. In fact, people with bipolar disorder react very poorly to anti-depressant medication often becoming even more distressed and agitated. Effective medication for bipolar disorder is quite different from the type of medication that is used for just straight depression or what is known as “uni-polar” depression. This is one instance where diagnosis truly is critical if one is to know what the best course of action is from a medication stand point. Those with a bipolar diagnosis require a mood stabilizer, not anti-depressant medication, in order to feel better. Our contemporary understanding of depression is changing. In fact, the most progressive view of depression now sees all types of depression as lying on a single continuum with depression at one end and bipolar disorder on the other. The most recent version of the Diagnostic Statistical Manual (the DSM-5), published in 2013 and used by psychiatrists and psychologists to assist in determining diagnoses, now states that a milder form of bipolar disorder exists referred to as “Bipolar II”. In this less severe form of bipolar disorder, a more mild form of mania expresses itself called “hypomania”. Hypomania does not involve delusional thinking but it has similar components to mania such as decreased need for sleep, exuberant or elated mood, rapid speech, exaggerated confidence, hyper focus on projects or tasks, greater creativity and productivity, increased energy and sexual drive, reckless behaviors and risky pleasure seeking behaviors. 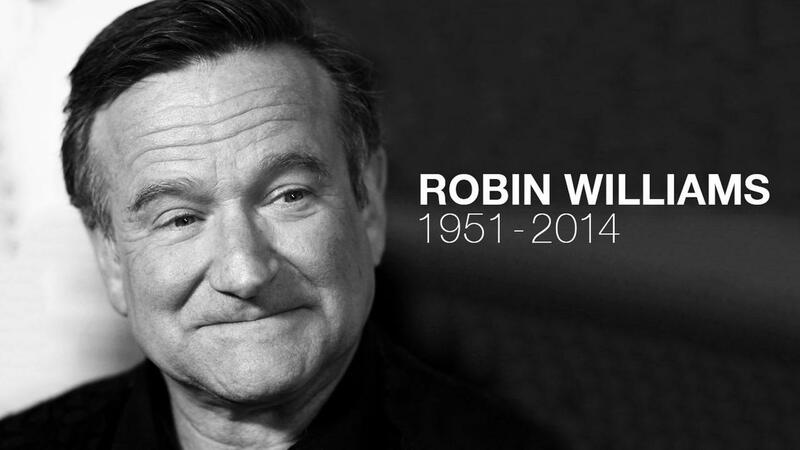 As was the case with Robin Williams, many people with bipolar disorder are extremely talented and bright and the hypomanic edge when not out of control, may even result in more crisp thinking and greater productivity. But this should not lead to a romanticized view of the condition. In both Bipolar I and Bipolar II, the manic and depressive cycles are very painful and difficult to deal with. The depressive cycle of the illness looks very much like the depressive symptoms seen in uni-polar depression although they are often more severe. When people crash, they really can hit rock bottom. Some of the symptoms present in the depressive phase include: decreased appetite, lack of energy, decreased motivation, difficulty concentrating and remembering things, feelings of hopelessness and pessimism, loss of joy, irritability, feelings of guilt, worthlessness and helplessness. Some people with bipolar disorder experience more the lows than highs and for others, the reverse is true. We are learning that certain elements are common in those diagnosed with a bipolar condition such as: sleep problems often dating back to childhood; the preservation of sexual drive even in the context of a depressed mood (which does not occur in uni-polar depression); and often a history of failed attempts using standard anti-depressant medications. However, one should not be self diagnosing. The cluster of symptoms that present themselves can be different for different people and the illness itself is often constantly evolving and can be very unpredictable. It takes a highly skilled clinician to make the judgement call and even then, it can take an average of 10 years for a correct diagnosis to be made. This is because the symptoms may be subtle and as time passes, the symptoms change. In other words, not all symptoms happen at once and therefore the picture is not consistent. Often, you need a skilled psychologist or psychiatrist who has worked a lot with bipolar disorder to be able to diagnose it. Also, you need a doctor or psychiatrist who is willing to hang in with you and who will persist in tracking the symptoms and in trying different medications. When mood stabilizers work, this is often confirming of a bipolar diagnosis. Usually, patience is a prerequisite because experimentation is needed to come up with the right type and dosage of mood stabilizer. Not only the professional but the client has to be willing to stay the course. Understandably, too many people get frustrated when anti-depressant medication after anti-depressant medication does not work and so they give up. Persevering, however, is often worth it for the sense of well being that can emerge as a result of proper diagnosis, medication and psychological assistance. People with this disorder differ in their symptoms, severity, coping strategies, life situations and which treatment plan works the best. One thing is for certain. Bipolar disorder is an illness. It does not define the person and it is not an identity. You don’t want to be talking about someone as being bipolar. Just as you are not arthritis or diabetes, so no person is bipolar. Bipolar disorder is a complex condition that requires treatment and a large dose of understanding. Most often, when it is understood and managed properly, the individual can be fully functioning and can experience good quality of life. We need to be able to be more open in sharing information about this mental health issue. Shame and having to keep it hidden add incredibly to the stress and difficulty of being able to manage the symptoms with strength and courage. * For those interested in an excellent resource on Bipolar II, check out the book: “Why Am I Still Depressed” by Jim Phelps. AS usual, your article is very informative and respectful to the client. Indeed, I have trouble with my interns calling a person “bi-polar” as if that explains everything and allows you to write them off as too difficult to treat. As you point out, this is a complex condition, and hard to diagnose. Even more to the point, it is very difficult to manage and treat, both for the client and the therapist. Developing an understanding of what a condition looks like without overgeneralizing the symptoms is what is required. We see a lot of people who live with family members who have a bi-polar disorder and who don’t have any idea how to deal with the behaviours exhibited. This is where support groups are invaluable, and it seems, so few exist. We really need to do better with mental health issues in our society. They are still so low priority and so little understood. Thanks for this invaluable educational piece. I recently referred one of our bi-polar clients to a bi-polar therapist who would have the best insights into the cliet’s experiences. Some of the client’s behaviours have been so destructive to her family, and very tough for everyone to bear. The good news is that there doesn’t have to be that level of disruption when there are supports in place. Thank you for your additive comments. Underscoring the challenge for both client and therapist is a point well taken as well as the need for better public education and group support. I so appreciate your commentary as I view you as a highly seasoned therapist with a rich and varied background in multiple areas such as psychology, marriage and family counselling, social work and psychoanalysis. I very much value your expertise and input!